Topology is an area of mathematics that looks at the geometry of different things, and how they are related. Everything from the curvature of space and time to the social networks of Facebook are related to topology. In the case of this year’s prize, it involved the application of topology to things like superconductivity and superfluids. For example, a typical fluid such as water has a certain amount of viscosity. This is why when you stir your coffee the swirl eventually dies down. 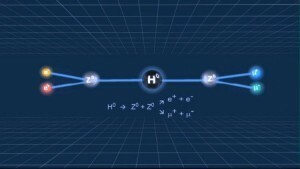 But some things like liquid helium can be cooled to the point where it becomes a superfluid with no viscosity. If you were to stir a superfluid, it would keep swirling indefinitely. Such swirls are known as vortices. Because these vortices last indefinitely, they can be considered part of the topology of the superfluid. Which brings us to this work. One of the interesting questions in condensed matter is how and why materials transitions from regular to super. What’s really going on in the structure of a material that makes a material superfluid or superconductive? To try to figure this out, the laureates focused on thin layers of material. So thin that it can basically be considered a two-dimensional surface. For a long time it was thought that superfluidity, for example, couldn’t exist in such a constrained state, but it turns out that they can, and when they do, things like vortices start behaving in interesting ways. When vortices in a fluid form, they’ll tend to be distributed in a random way. Some might interact with each other, but it’s all rather chaotic. However when a fluid cools below a certain point, the vortices pair up, and move together in pairs. This shift in the topological behavior occurs at a critical temperature, and thus is a topological phase change. It’s actually a surprising result, because it means not only can materials have phase changes where the macroscopic behavior of a material shifts from solid to liquid to gas, but there are also more subtle phase transitions where the topology of a material changes in discrete ways. As we’ve begun to learn over time, these subtle topological shifts can bring exotic changes to a material, and we’re still learning about their applications. So while it’s not gravity waves, this award-winning work has made waves of its own, and that makes it a worthy choice for this year’s Nobel prize. I read an article that said that the discovery about gravitational waves did not make it in time for the cut off for the Nobel. That same article also mentioned that “dark matter” has been overlooked for a while. Perhaps that one should come first. I would hate to see it overlooked forever. I think the dark matter award will come when/if there is a direct detection of dark matter. Yes, that’s what I was about to write. The detection was made only one year ago, I doubt any Nobel physics prize has been awarded that soon. It is a scandal that Edwin Hubble, clearly the most prominent observational astronomer of the 20th century, who discovered intergalactic space and expansion and hence big bang, never got the Nobel prize. Why? The prize committee, the Swedish Academy of Science, had the view that “Astronomy is not physics, and there’s no prize for astronomy!” An old view that astronomy is just a branch of mathematics, the study of dots moving across the sky. They better not miss awarding LIGO, and since people have been on to this for 50+ years, they cannot wait too long. can super create infininte or even plus power? more energy out than in or swirling harnassed forever somehow? what about using the swirling properties to disrupt cells or cell mecanisms? store the swirling patterns to store as data of current state of livng thngs and then transmit the swirling state across distances as info? we are still trying to teleport our biped human away from her egg and cheese in the morning offa the side of the bed and back before she has noticed we have scarfed it up, don’t ya know! any suggestions? did we win the prize yet from randy the skeptic? did we time travel yet? we will take our nobel in dog-biscuits and one kitty-cat biscuit. one very large super kitty-cat biscuit!